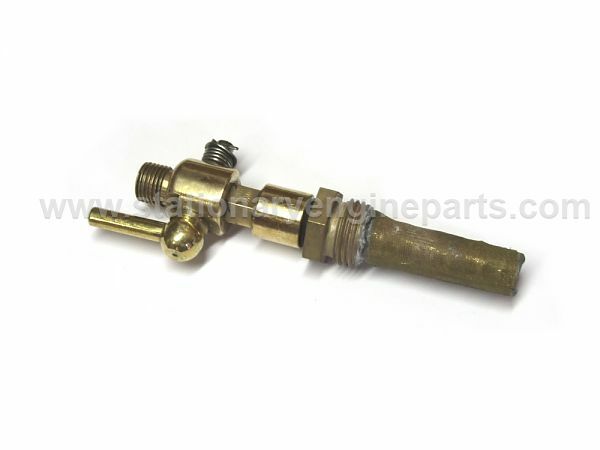 Newly manufactured brass fuel taps and tank filter assemblies suitable for the Lister D stationary engines. The body of the tap incorporates 1/4" BSP threads, male - female and the tank filter is 1/2" BSP. The filter is covered with brass gauze soldered into place.